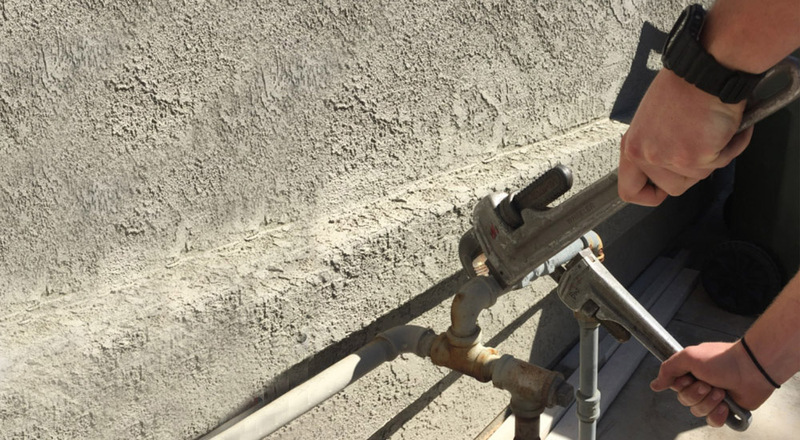 As a leading plumbing contractor in San Bernardino County, Steve's Service is the local expert in gas line services. We've been installing, repiping, rerouting, and repairing gas lines since 1984, and have thousands of satisfied residential and commercial clients throughout San Bernardino County. Our reputation for providing exceptional work at a fair price with superior customer service precedes us, and we have won awards for the quality of our service from Angie's List (the Super Service Award) and the Inland Valley Daily Bulletin's Readers Choice (Best Plumbing Company in 2011, 2012, 2013, and 2014). If you have a gas leak, call Steve's Service for immediate assistance. We're available 24 hours a day, 7 days a week, and can send an on-call plumber to your site within the hour. The technician will locate the source of your gas leak, stop the leak, and review your options for repairing the gas pipe. We also perform pressurized gas line tests if you'd like to check your entire gas piping system for leaks. Our service involves capping off all branches and hooking up an air compressor to pressurize the gas system. We then use an electronic combustible fuel sniffer to detect any propane, gasoline or any other combustible gases. Our gas repiping is covered by exceptional parts and labor warranties, and always meets current building standards. With over 30 years of experience, we're experts at installing gas lines for new construction, remodels, and reconstruction/repairs. This includes connecting the exterior gas meter to the home through underground gas pipes; installing piping throughout the home; rerouting gas pipe through the walls and attic; and adding new gas lines to connect outdoor barbecues/bbq islands, fire pits, dryers, water heaters, tankless water heaters, furnaces, gas fireplaces, stoves, ovens, patio heaters, and more. Our gas piping experts frequently convert electric lines to gas lines. Electric-to-gas line conversions make it possible to replace, for example, electric ovens and cooktops with more-efficient gas ovens and cooktops. Call today. Estimates for gas line repipe, installations, and additions, including electric-to-gas line conversions, are free.